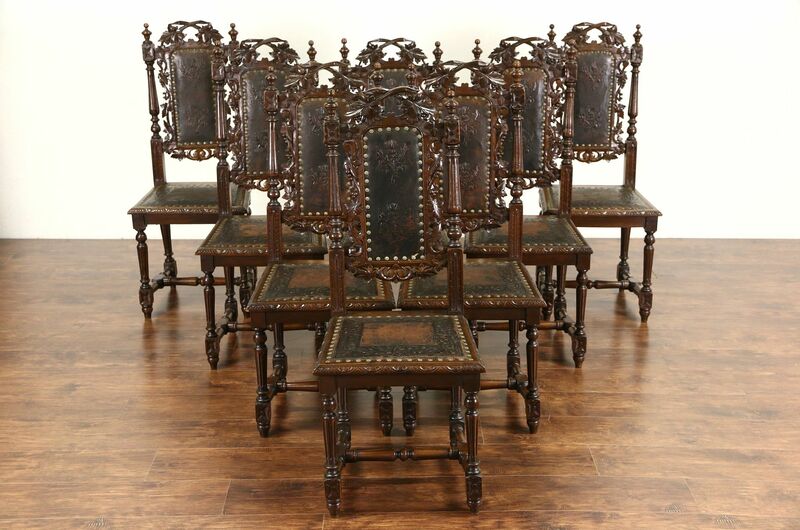 A wonderful set of eight hand carved dining chairs with grapevine motifs were hand carved around 1880 in the Black Forest, where Germany, Switzerland and France meet. The solid walnut frames are tight and strong on this durable antique furniture. Original hand tooled leather upholstery is charmingly worn and has brass nailhead trim. Measurements are 18" wide, 19" deep, 42 1/2" tall, seats are 18" tall and 15" deep.